A Jewish day camp has been located on the Captain’s Pond site since 1960. 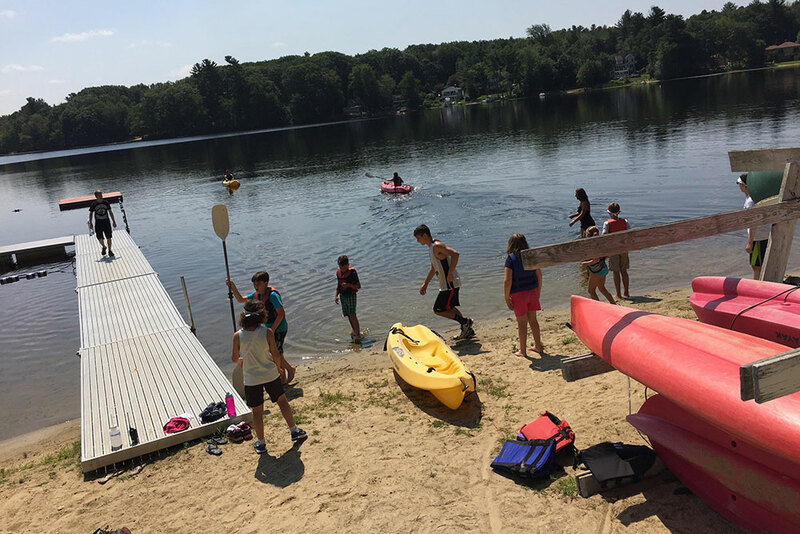 Owned by the Jewish Community Center of Lawrence, the camp (then called the Lawrence Jewish Community Center Camp) had as many as 150 campers each session from the Merrimack Valley and southern New Hampshire. When the Lawrence JCC closed, the campsite was rented to the Merrimack Valley Jewish Federation. The Federation operated the camp under the name Merrimack Valley Jewish Community Day Camp and later the Jewish Community Day Camp (“JCDC”) until it closed in 1993. In the winter of 1994, the Federation decided to recommit itself to establishing a Jewish community day camp. They invested significant funds to repair and refurbish the camp site as well as purchase new equipment and develop a new program. In 1995 the camp opened, renamed Camp Hadar (“splendor” or “beauty” in Hebrew), with over 120 children attending during the summer, proving there was a definite interest in the community to support a Jewish community day camp. Camp Hadar continues to grow and improve.